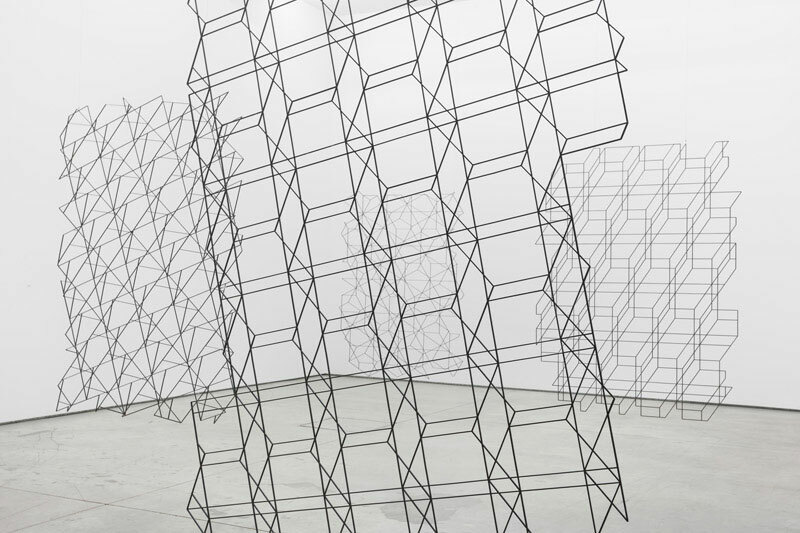 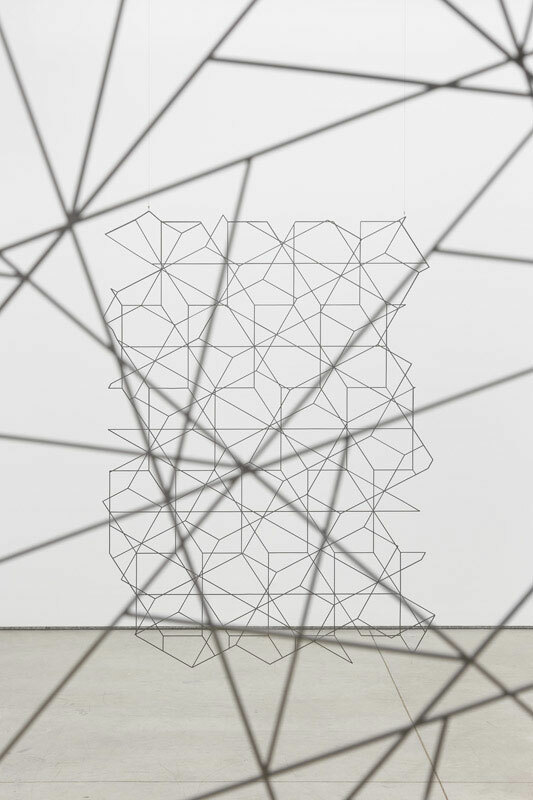 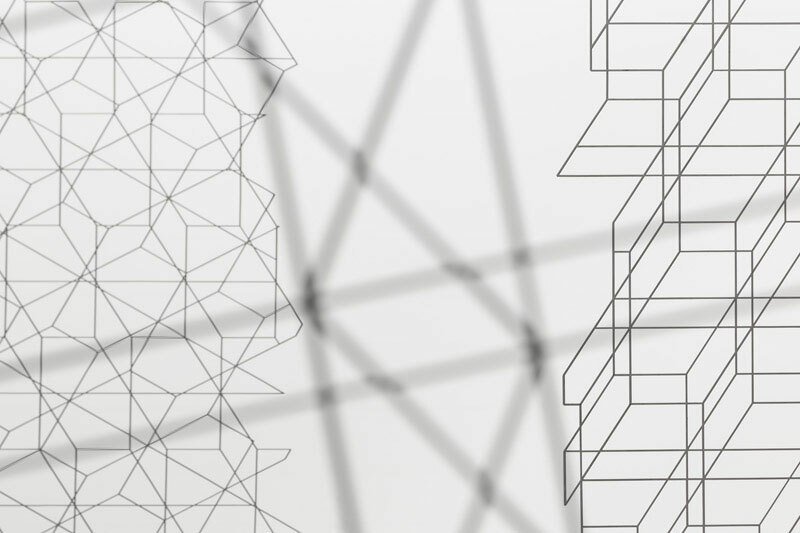 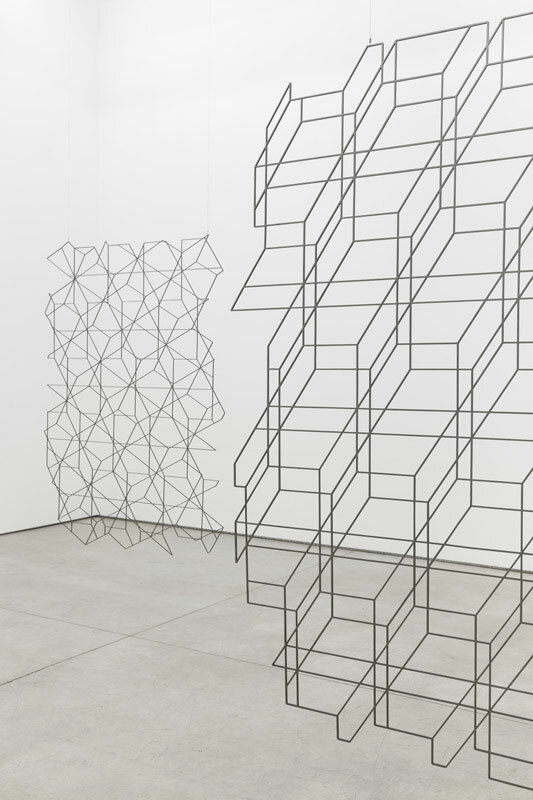 This installation consists of suspended over-life size screens made from laser-cut steel. 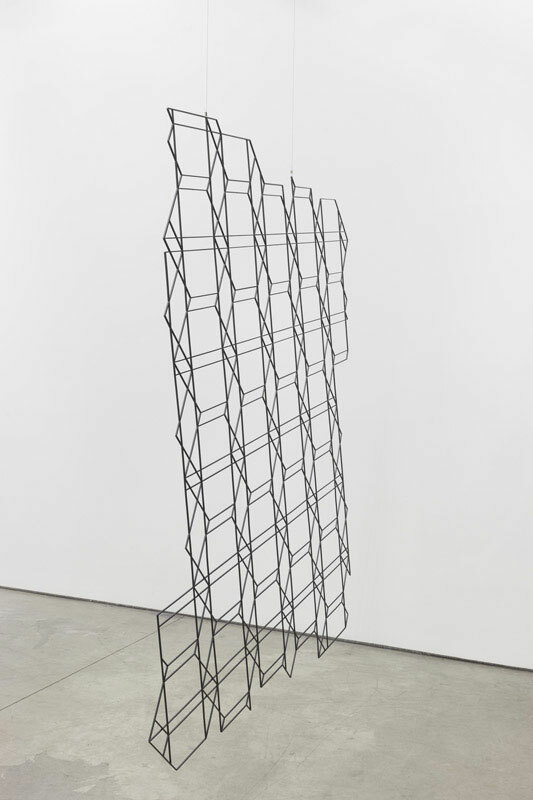 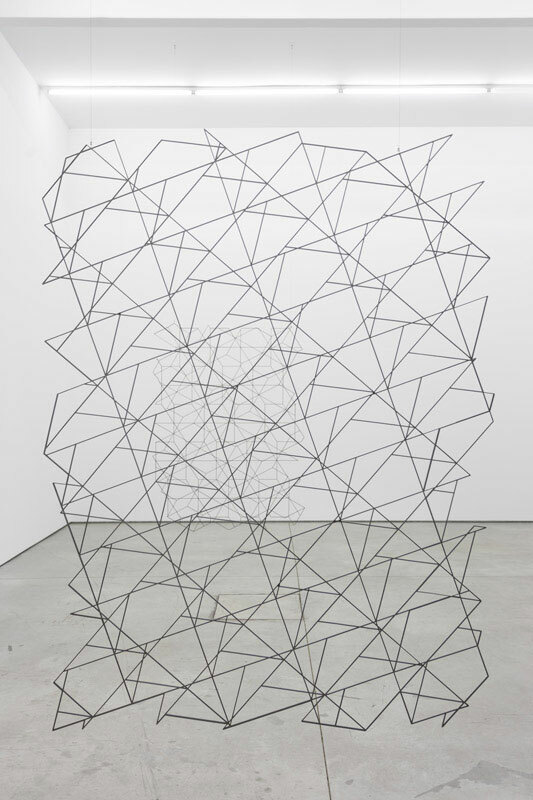 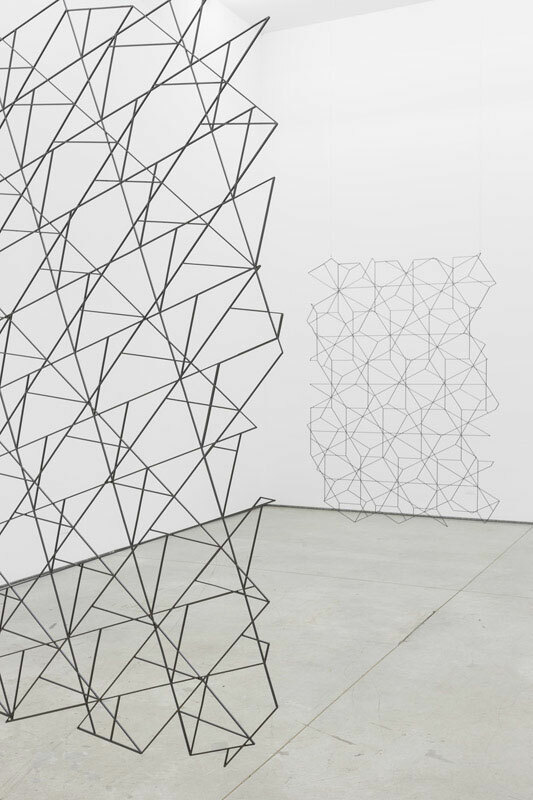 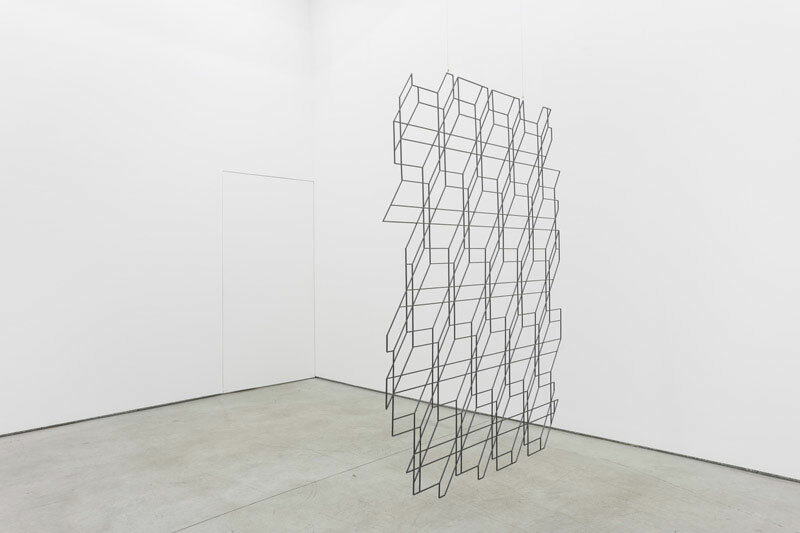 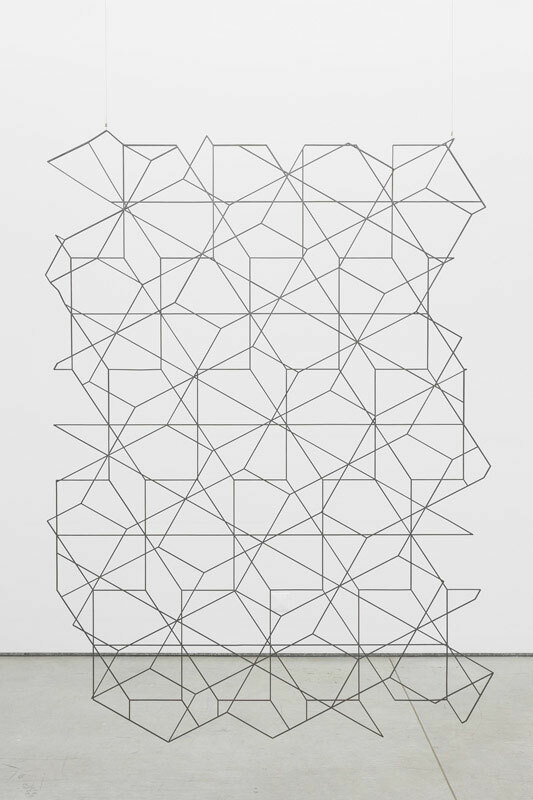 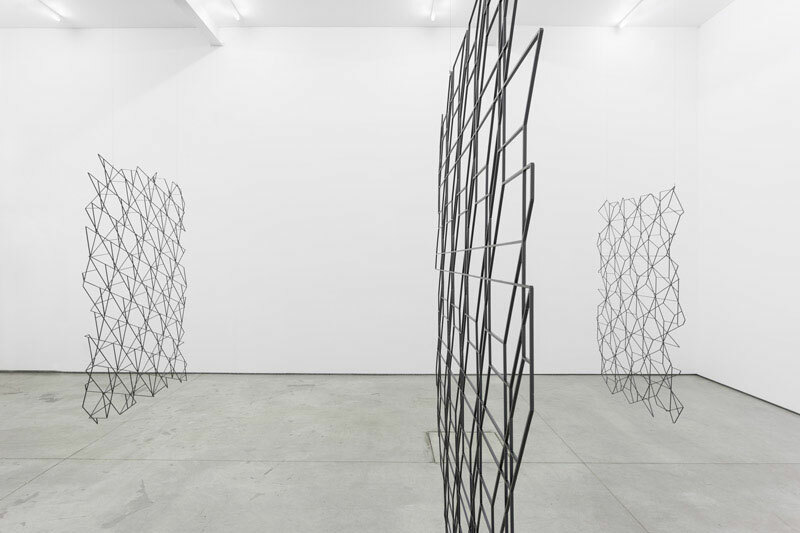 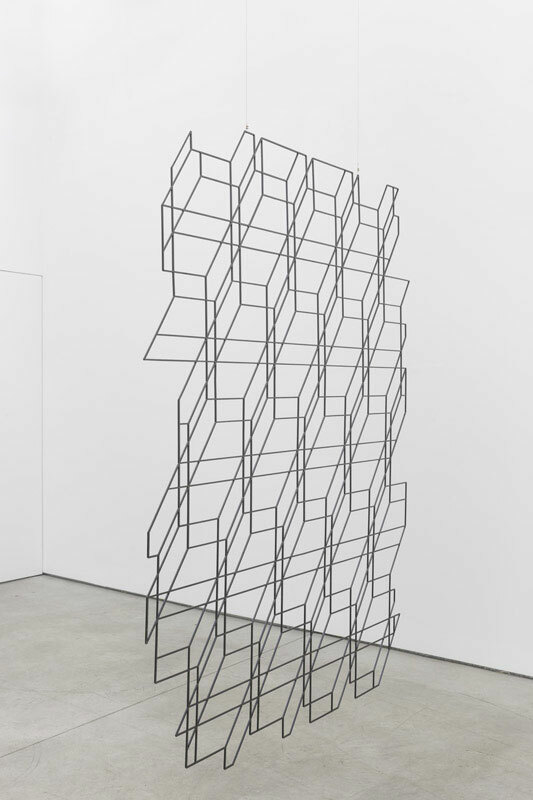 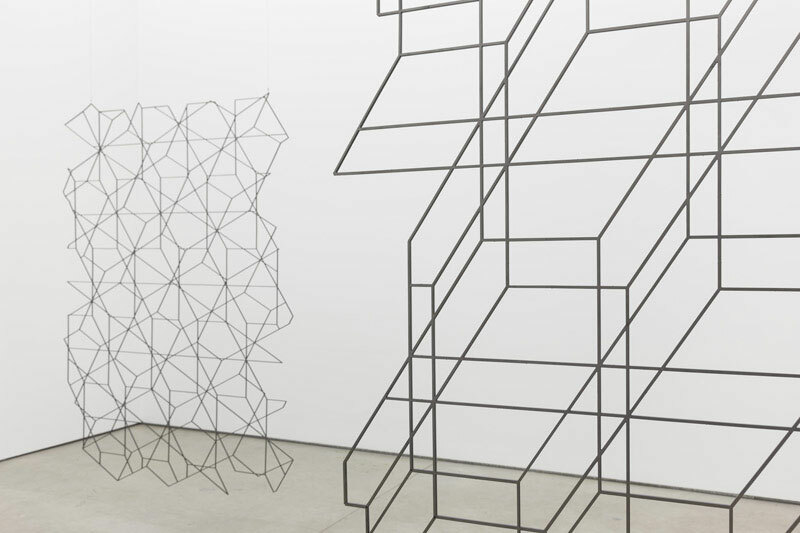 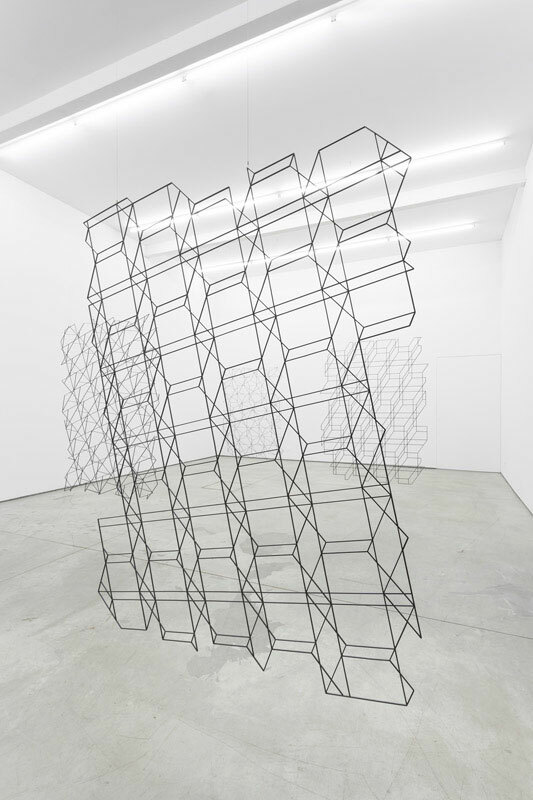 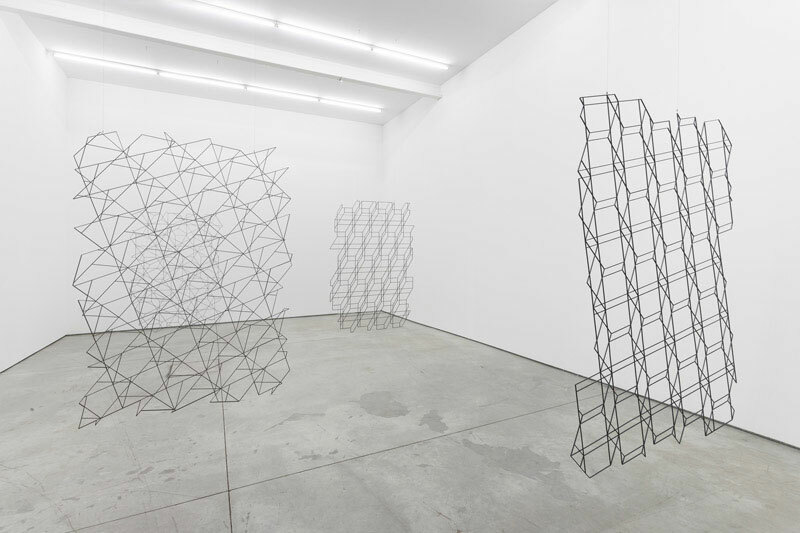 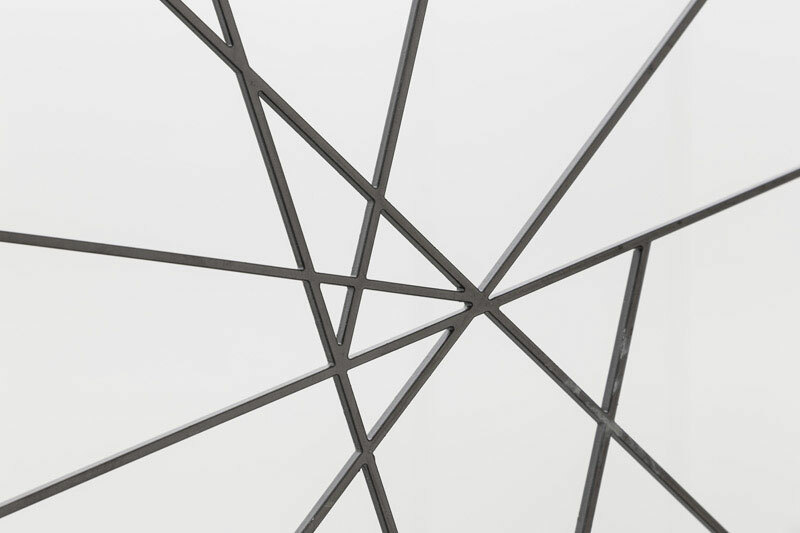 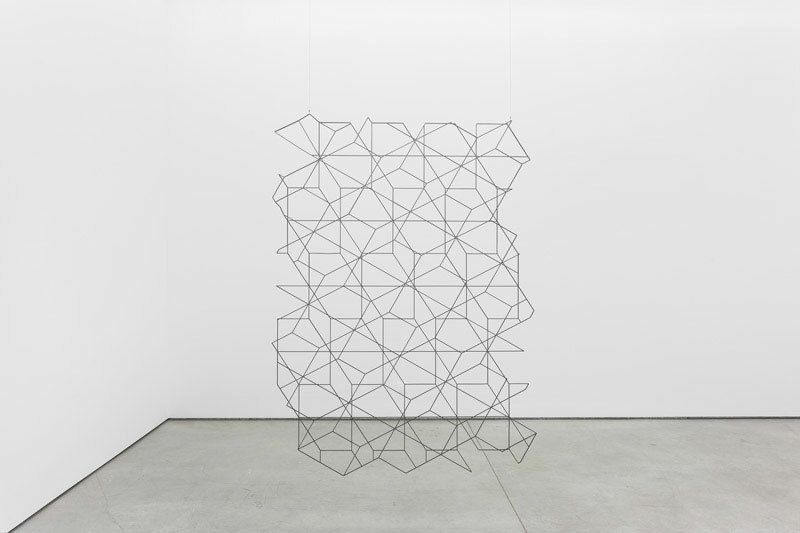 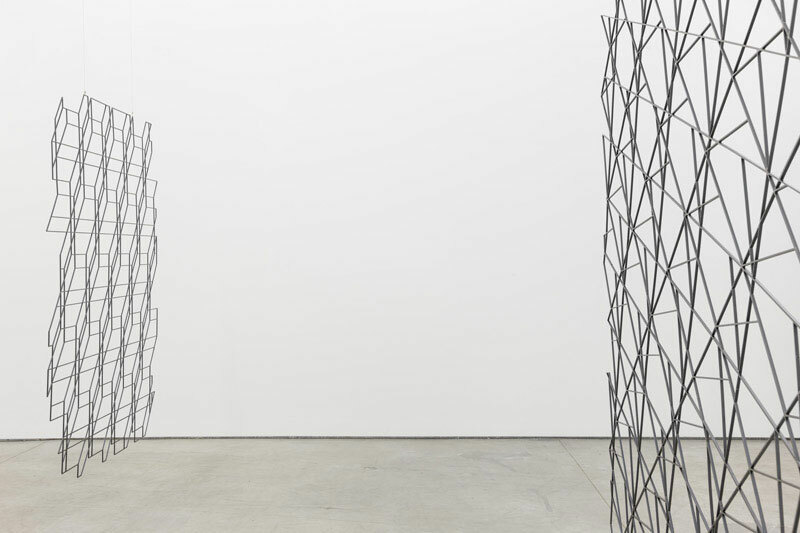 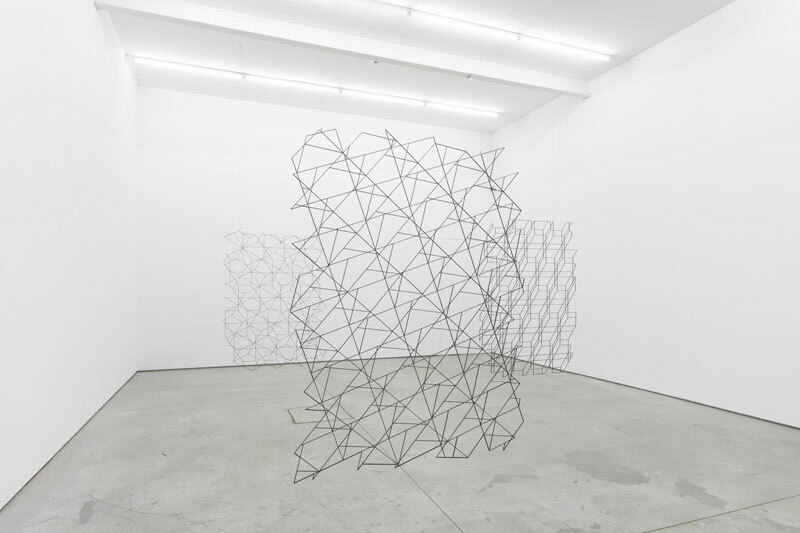 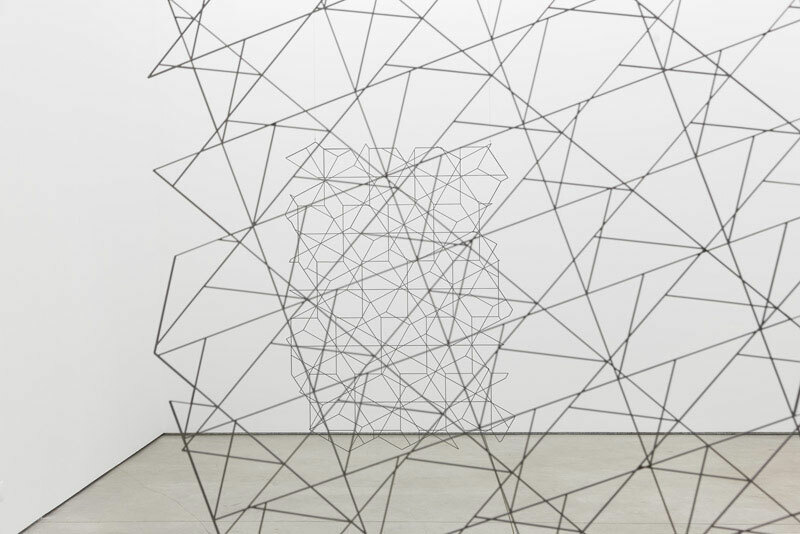 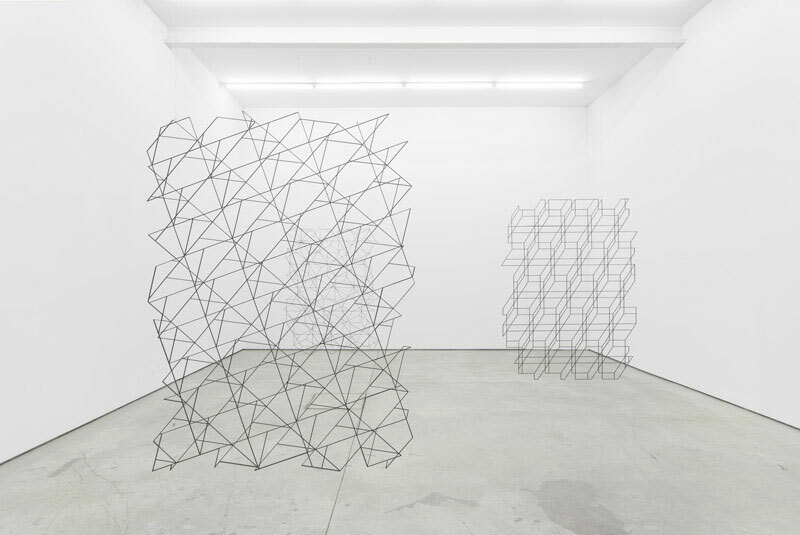 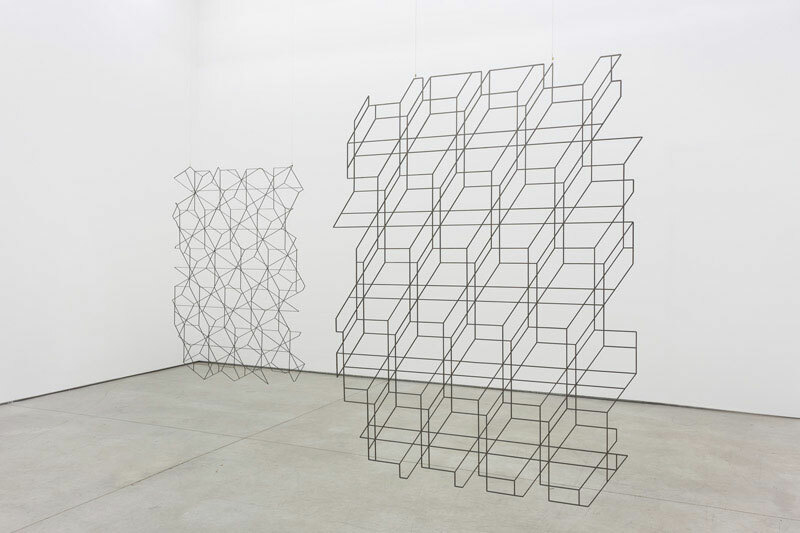 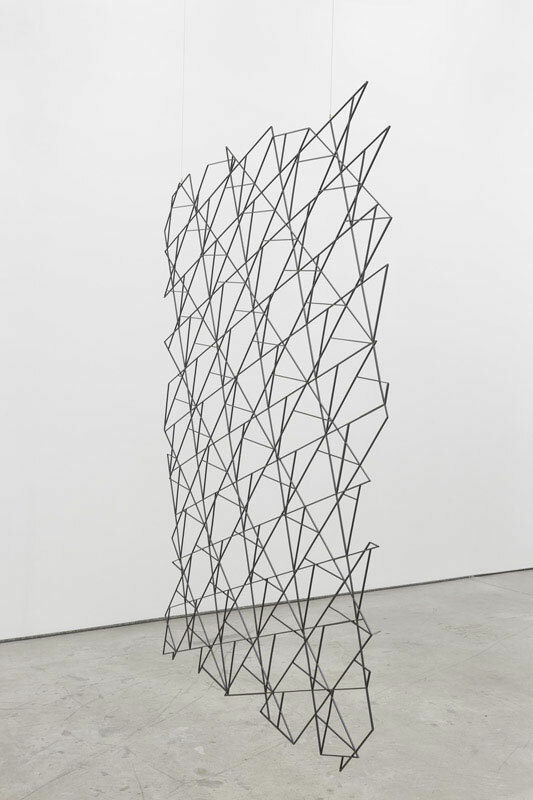 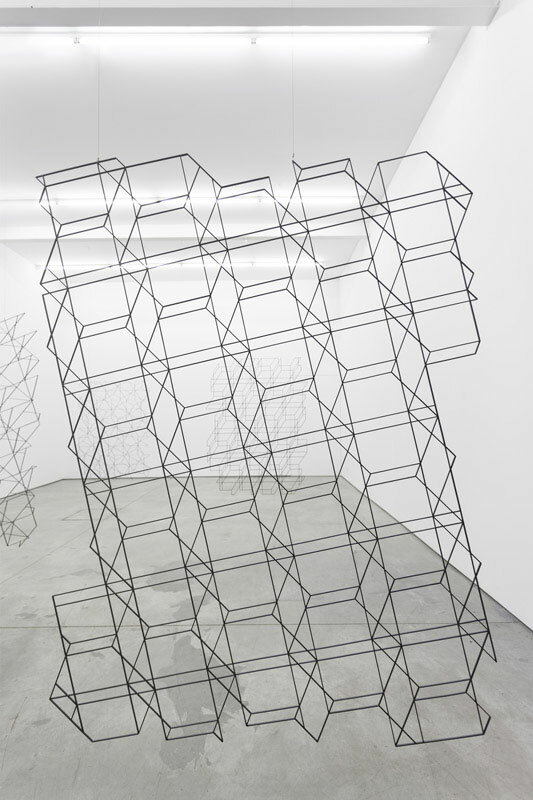 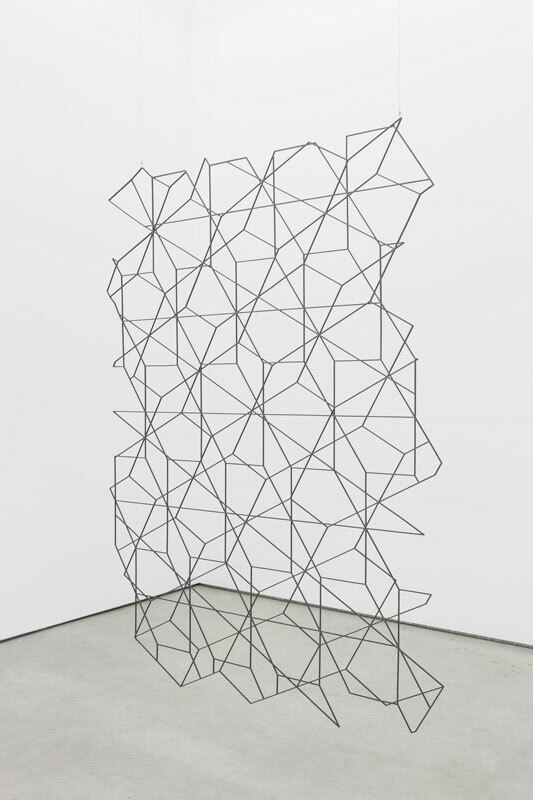 This work uses a simplified geometric shape that is mirrored, pivoted and turned to create a pattern whose rules of construction are not immediately recognizable but adhere to a consistent self-imposed set of operations. 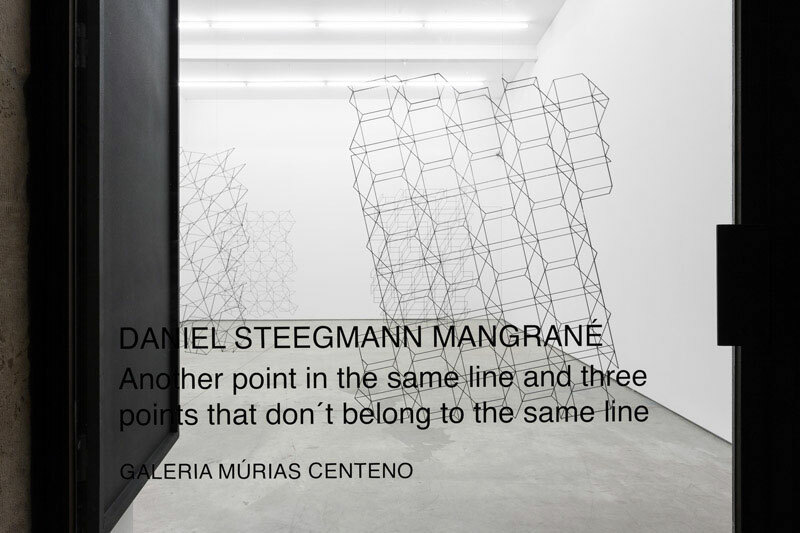 Consequently, the shape, a rectangle from which one corner has been removed, creates a geometric pattern. 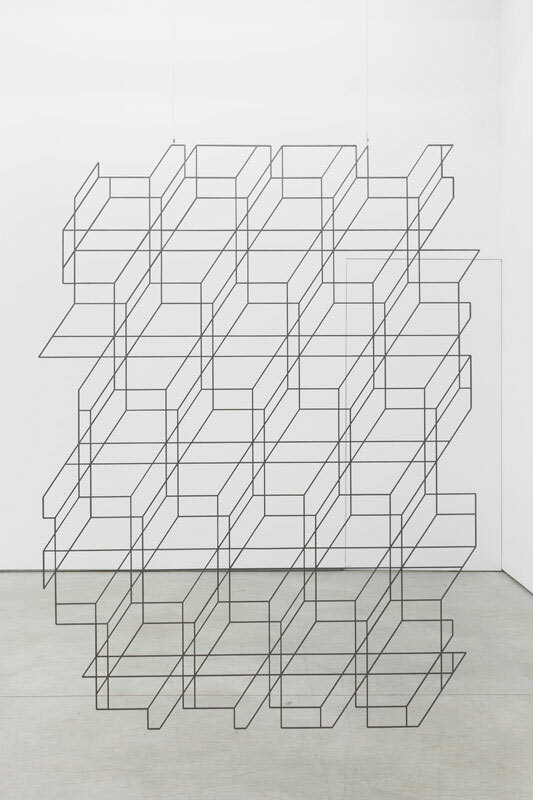 The screen can be perceived both as division and as a framing device.